Virginia Story's second graders in a play about cave dwellers. Pictured are (l-r): Russell Hibbs, Norma Tevis, Gordon Dudderar, Alice Keene, Wallace Jones . 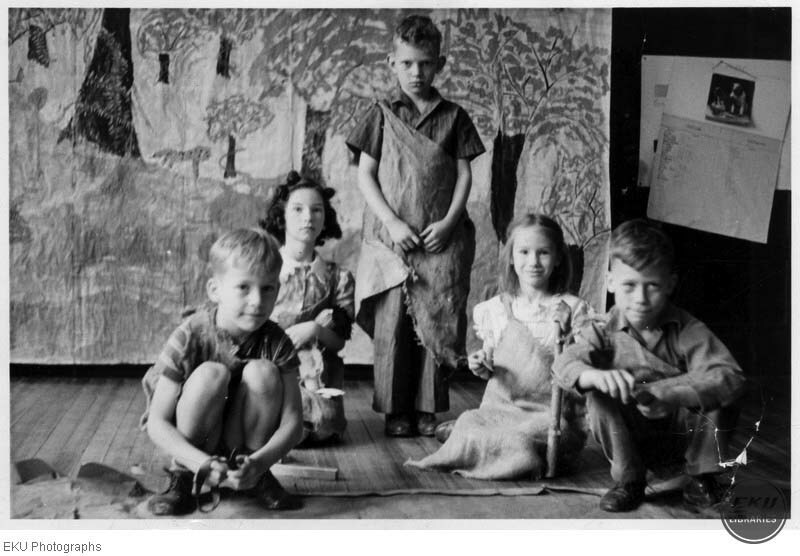 “Model Laboratory School Classroom Activities,” Digital Collections, accessed April 24, 2019, https://digitalcollections.eku.edu/items/show/30870.